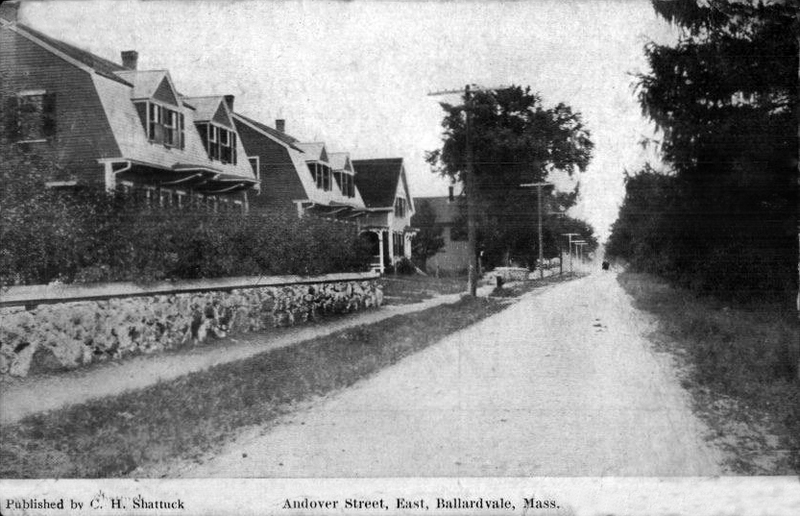 The 1906 map of Ballardvale, MA shows only five houses on the north side of Andover Street beginning at the Mansion House, then #246, #250 #252 R and #264. Built about 1907-1910 for employees of the Ballard Vale Mill Company. 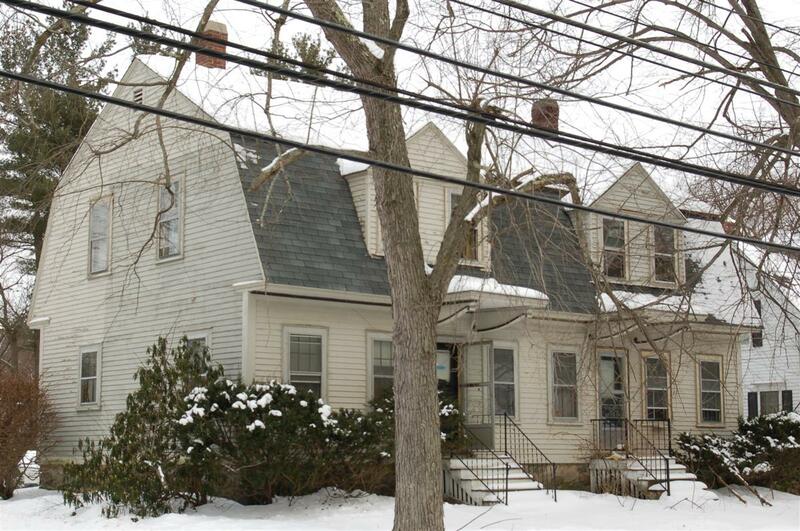 The gambrel roof two family home is identical to the duplex home next door at 238-240 (with exception of an added enclosed porch). This two family home remains "as built" with the two unusual entry roof awnings. Located between the Mansion House and South School with conservation land in back leading to Rec. Park and Pomp's Pond, the house sits on North side of Andover Street on land formerly of J. Putnam Bradlee (also formerly Marland). Probably built by the Ballard Vale Mill Company, successor to J. Putnam Bradlee Manufacturing Co. The company-owned houses/duplexes were sold to their occupants individually over time. The property was purchased by the Ballardvale Mills Co. on Feb. 6, 1905 from William H. Hodgkins, Trustee to the J. Putnam Bradlee estate. This land was vacant at that time and was the easterly portion of Parcel one mentioned in the deeds to the company. The company rented out the apartments for twenty years then selling off their holdings in 1926. George G. & Mildred H. Brown purchased this property on May 27, 1926. George Brown owned for 50 years. His wife Mildred H. Brown died on Jan. 14, 1970. George G. Brown Sr. died in 1976 and the estate was Probated by their son George G. Brown Jr. of Cuyahoga Falls, Ohio. 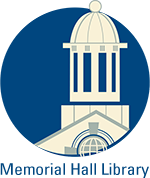 The property was then placed into the Allen Trust, with Philip J. Coppola, Trustee on Apr. 2, 1976. Robert A. Brown then acquired the property on Mar. 26, 1998 and placed it into the Robert A. Brown Revocable Trust on Jan. 5, 2006. Brown later sold to William P. Johnson, of High Vale Lane on Mar. 19, 2009. Johnson, a local developer converted the duplex into condominiums in Sept. 2009. Each unit was then sold off to separate individuals. Plan Map #3070 - July 11, 1955 - C. Lincoln Giles - lot F.